Oak furniture is a bit of a passion of ours and we love working with the railway sleepers. 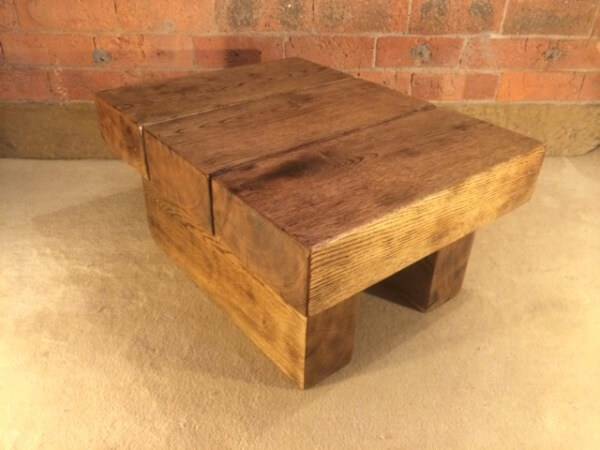 Rustic and chunky when it comes to our oak furniture both indoors and outdoors. 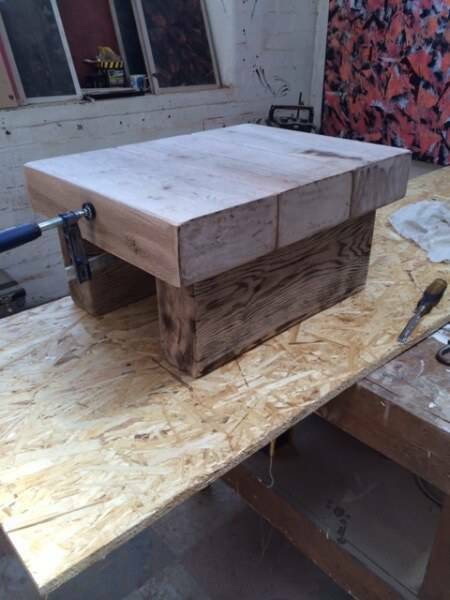 This is a small coffee table recently made at our workshop for a costumer. All the joints a hidden using dowels and glue and no brackets are used at all. To start with we source the oak sleepers with a interesting grain. The oak is sanded back firstly with a grinder and then hand sanded with 80 grit and the 120 grit sand paper. 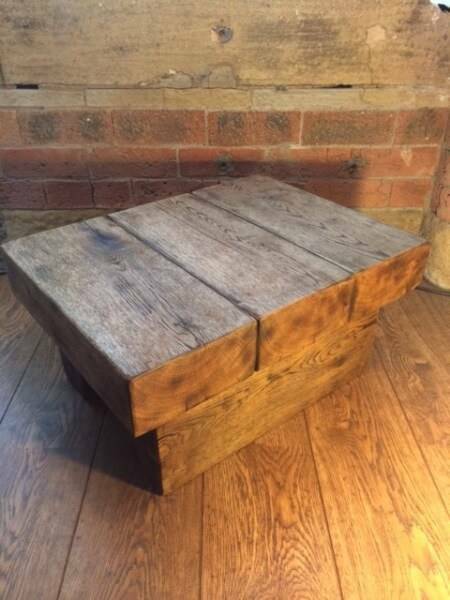 Cuts are carefully made and then the edges are rounded for a rustic feel. 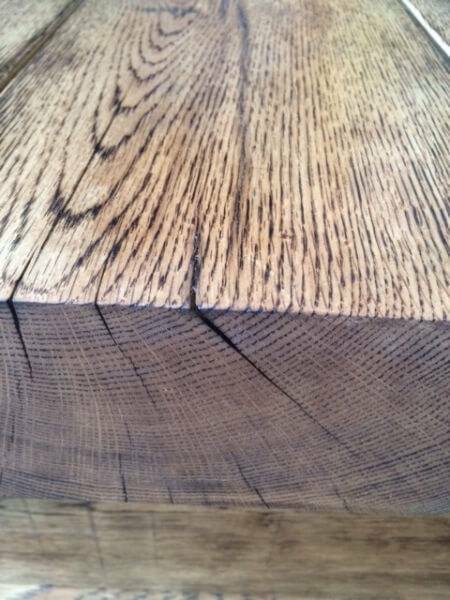 We then burn the oak to bring out the grain and add character. just the right temperature and amour of time is used wight the flame to acquire the desired effect. at this point we start putting the wood together, using wood dowels, wood glue and clamps. after 24 hours once the glue has set, extra sanding is required. we then apply the oil. Osmo oil is a fantastic finishing oil and is organic. http://www.osmouk.com please follow the link to take a look at the product. Two light coats are applied so the oak can soak it up. On the table we used a clear oil to accentuate the gran and the burning of the wood. 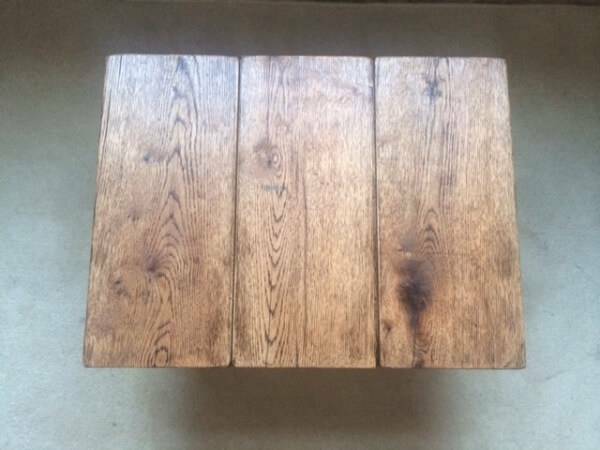 There are lots off different colours to the oil, from light oak, dark oak to mahogany. Its is very durable and is easy to fix if it gets marked. 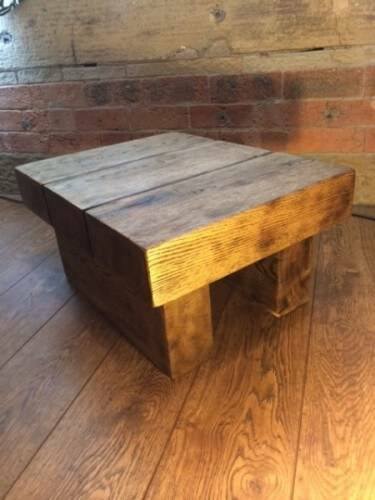 Please call us on 07985711011 for a quote on any oak furniture you may want or have seen. 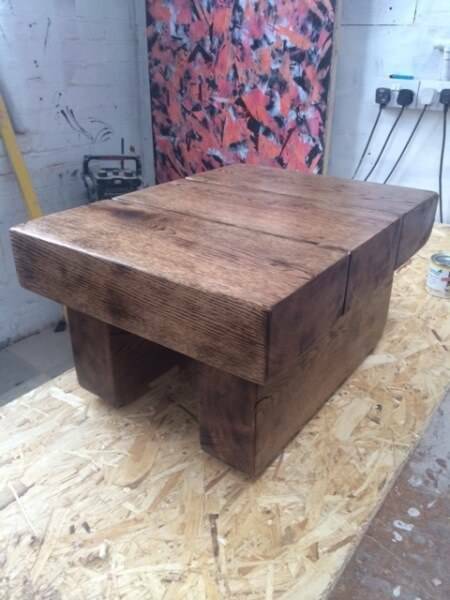 We can make made to measure oak furniture to any idea you may have. please be warned to it is extremely heavy but will last you a lifetime. 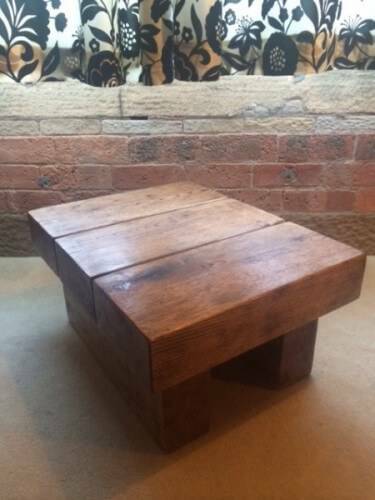 TF Building are a Skipton based company.